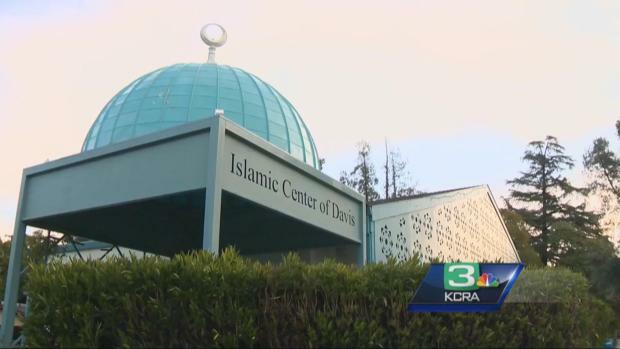 DAVIS, Calif. (AP) — Authorities say a 30-year-old woman is being charged with hate crimes after police say she broke windows and left bacon on the door handle of a Northern California mosque. KCRA Natalie Brunell reports. A 30-year-old woman was charged with a hate crime after police and prosecutors say she broke windows and left bacon —a taboo for observant Muslims — on the door handle of a mosque in Davis, California. Lauren Kirk-Coehlo of Davis was arrested in connection with the break-in, the Yolo County District Attorney's Office announced at a news conference Tuesday, which prosecutors streamed on Periscope. She is a graduate of UC Berkeley, the Sacramento Bee reported. She is charged in the vandalism of the Davis Islamic Center last month. 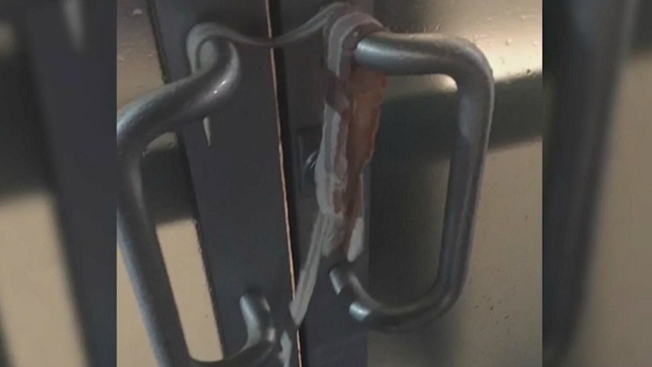 The vandal or vandals broke six windows and two bicycles and put bacon strips on door handles. Kirk-Coehlo faces a felony vandalism charge with a hate crime enhancement stemming from the Jan. 22 incident. She faces a maximum of six years in prison if convicted of all counts, and bail was set at $1 million. Her motive and connection to the mosque, if any, have not been explained. All pork products are off-limits to practicing Muslims, the same religious rule that applies to members of the Jewish faith. Asked if this were an unusual crime, District Attorney Jeff Reisig said that in 10 years of practice, "I've never prosecuted a case like this." The FBI, which is tasked with investigating civil rights violations, assisted with this case. Special Agent in Charge Monica Miller said at the news conference in Davis, a 30-minute drive from Sacramento, that it's possible Kirk-Coehlo could be prosecuted on federal charges as well. As of Wednesday morning, nothing was filed in federal court against Kirk-Coehlo. Yolo County Jail officials declined to release Kirk-Coehlo’s booking photo in advance of Thursday’s court hearing, where she will be arraigned. She turned down an interview request from The Davis Enterprise. Immediate efforts to find her defense attorney were unsuccessful. Kirk-Coehlo has no criminal history in Yolo County, where court records indicate her only police contacts were for speeding and a seat-belt violation in 2007, the Enterprise reported. She was charged with misdemeanor trespassing in Santa Barbara County in 2004 but pleaded guilty to a lesser infraction, according to a district attorney’s spokeswoman there. Video surveillance from that day shows a woman with long hair and a baseball hat walking on the mosque campus and riding away on a bicycle. The video also shows the woman possibly puncturing bicycle tires and scratching windows. Police said that evidence at Kirk-Coehlo’s home linked her to the crime. Police said there is no sign the two incidents are related. At the mosque in Davis this week, several members said that the outpouring of community support has been overwhelming, bringing them closer together. And many members also wanted to offer forgiveness to the culprit. Nida Ahmed, a UC Davis student, told Sacramento-based NBC affiliate KCRA: "We just want her to know we would like to welcome her back if she's like to know more about Islam."